A hospital in Minneapolis broke federal rules by giving patients drugs in a research study without asking for their consent, according to an FDA investigation released on Monday. The FDA report focuses squarely on the hospital’s “institutional review board,” a group tasked with protecting the welfare of people recruited to participate in research studies. The investigation found that in at least four studies they approved since 2014, Hennepin County Medical Center’s IRB failed to meet consent requirements. At least one of these studies included “agitated” patients who were injected with ketamine by paramedics without being told that they were part of a scientific study examining the use of ketamine as a sedative. The hospital drew fire this summer, after a report examining years of police bodycam footage found that police officers in Minneapolis had been directing Hennepin’s emergency medical personnel to inject people in custody — many of whom appeared to pose no threat — with ketamine. Subsequent news reports revealed that the hospital had also conducted at least two studies examining the use of ketamine by EMS in so-called agitated patients, only notifying them they’d been enrolled in a study after they had been injected with the drug. An ongoing study was suspended shortly after the details were made public on June 25. “These were unethical, noncompliant studies in which people were recruited without providing their informed consent,” Leigh Turner, a bioethicist at the University of Minnesota, told BuzzFeed News. “When people are being pulled into studies off the street — with the involvement of police and drugs being forcibly administered — it’s right to talk about the possibility of coercion, undue influence, and vulnerable subjects,” he added. The FDA investigation, conducted in August, was obtained through a public information request filed by the consumer advocacy group Public Citizen and released publicly today. The report flags four studies that violated informed consent rules. 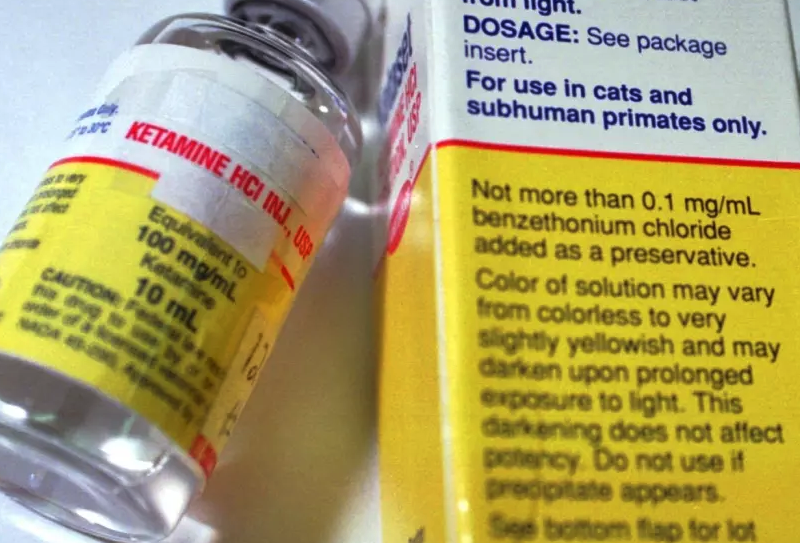 One examined the use of ketamine in pre-hospital settings, and another compared four other sedatives and antipsychotics in the emergency room. The other two studies, whose exact titles were redacted from the report, were ongoing and have since been put on hold. “The FDA’s inspection reveals that the Hennepin County Medical Center’s IRB appears to lack even a basic understanding of key federal regulations for the protection of human subjects,” Michael Carome, director of Public Citizen’s Health Research Group, told BuzzFeed News by email. In a letter sent to the FDA on Monday, Public Citizen said that the FDA must “take immediate steps to ensure the protection of subjects who would otherwise be endangered” by suspending all clinical research at the hospital except where medically necessary, imposing severe sanctions for the ethical lapses, disbanding and retraining the IRB, and requiring the hospital to inform all patients whose rights were violated. The letter was signed by Turner and another bioethicist, Carl Elliott of the University of Minnesota. The hospital has fiercely defended the studies, saying that they were conducted in the best interests of severely agitated patients — who can pose a life-threatening risk to others and to themselves — and using a drug that posed a “minimal risk.” That claim has been criticized by some experts, citing Hennepin’s own research showing that 39% of patients given ketamine had to have plastic tubes placed in their tracheas to assist with breathing, compared to 4% of those receiving a comparable drug, haloperidol. In a response to BuzzFeed News, hospital spokesperson Christine Hill said that the FDA investigation stated only preliminary observations, not final determinations of violations. The FDA declined to comment on the specifics of Hennepin’s investigation, but noted that the vast majority of patients have a right to informed consent before participating in research, with rare exceptions made for people with life-threatening conditions where no other appropriate treatments are available. “The FDA takes seriously reports of possible violations of the laws in place to protect human participants and will take action where warranted,” Sarah Peddicord, a spokesperson for the FDA, said in an email to BuzzFeed News. Some studies are legally permitted to waive informed consent, including those studying emergency situations — like patients with traumatic brain injuries or people in car accidents, who may require urgent interventions, can’t provide informed consent, and may not have family present to consent for them. But the ketamine trial, as well as three other trials included in the FDA investigation, “do not appear to meet the criteria for exception from informed consent,” the investigation states. The FDA investigation also stated that “some or all of the subjects [in four studies] were likely to be vulnerable to coercion or undue influence” and Hennepin’s IRB failed to adequately provide safeguards against such coercion.